M-drugs.com was an internet pharmacy and a fulfillment center in one. They offer generic and branded medicines on their website and when a customer places an order, they will forward it to their partner pharmacies or drug suppliers near the customer for processing and shipping. The goal of M-drugs.com was to make it easier for online consumers to access their medications without spending too much. Based on the archived information we found, M-drugs.com operated from 2011 to 2014. They did not indicate their location yet they claim to have partnered with Aurochem, Janssen, Ranbaxy, Sun Pharma, and Cipla. These are some of the leading pharmaceutical companies in India. 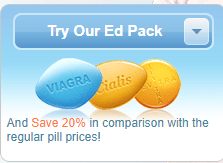 On their main page, their catchy phrase says ‘increase your sexual desire’ which made us assume that their offers were mostly erectile dysfunction drugs. We are not mistaken although they also offer other medications such as drugs for allergy, infection, asthma, pain, cardiovascular, hypertension, diabetes, high cholesterol, and heart problems. They also offered muscle relaxant medicines, weight loss pills, hair loss treatment, hormones, pain relief, mental illness medications, and herbals. We are surprised to find female Viagra for $.36 apiece on their bestsellers list. On the list, we also found Cialis Professional that was sold for $3.91 per tablet, generic Levitra for $2.35 per tablet, Kamagra for $2.72 per tablet, generic Cialis for $1.31 per tablet, generic Viagra for $0.92 per tablet, and Viagra Professional for $.05 per tablet. The prices of their generic erectile dysfunction brands were more expensive as compared to other medicines considering that they operated back in 2011 to 2013. Other medicines under their bestsellers list include Propecia for $0.71 per pill, Lasix for $0.29 per pill, Diflucan for $1.19 per tablet, Cipro for $0.71 per tablet, and Clomid for $0.53 per pill. M-drugs.com offered worldwide shipping yet they advised their customers to contact the support team if they have hesitations about their country’s policies on importing medicines. Customers were also advised to check with their local authorities to avoid delays or having lost packages. They offered two shipping methods – the Trackable Courier Service and the Regular Airmail Service. For Courier service, the delivery can take up to nine business days while for Airmail, the delivery can take up to 21 days. The payment methods that were accepted by M-drugs.com includes credit card and E-Checks. Credit cards were charged once the ‘submit button’ was clicked and once the payment was verified, M-drugs.com will send the order to their partners for processing, packing, and delivery. On the FAQ page of M-drugs, they assured their customers of their money back guarantee and guaranteed delivery. Customers of M-drugs.com were able to reach them via 1888 524 7141 and 44 808 189 1420. Their contact us page was also provided for their customers’ convenience plus a live chat support team was on standby 24/7. During their short operation as an online pharmacy and a fulfillment center, we were able to gather customer reviews for M-drugs.com. These reviews were found on their testimonial page. For the first review from Johnny, he said that he received genuine pills from M-Drugs. He was put at ease by the support team after giving him updates on the whereabouts of his order. He added that they were able to answer all of his questions hence he was happy with their service. 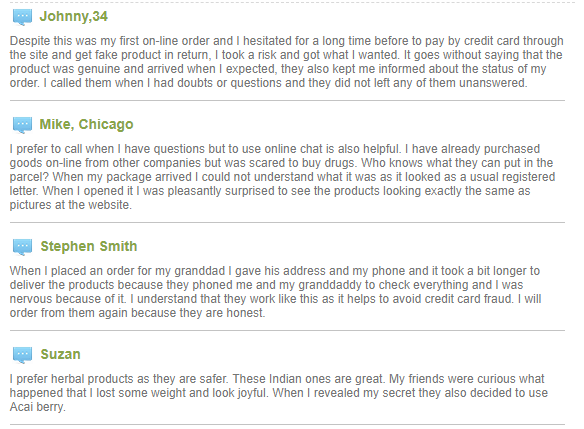 Mike shared the second feedback that we found and for him, the online chat team was all he needed to get his answers. Mike shared that his order arrived in a very discreet packaging and was happy to see medicines that looks exactly the same as those that they had on their page. For the third review, we found the story shared by Stephen and he was appreciative of the way that the store handled his credit card information. Stephen added that he felt secure even after giving his card information. He even said that the website was an honest e-store. Lastly, Suzan said that the Indian medicines shipped by M-drugs were good and that it worked well on her. She said she lose weight and people started asking her how. These reviews from the users of M-drugs.com were very positive and enticing. In fact, these are all the qualities of a website that we want to use and order our medicines from. However, these were found on their testimonial page and only on the said page. It cannot be found on any third-party review websites which make us believe that these are fake or were written by the website owner as there is no form to submit a review on the pharmacy’s own site. M-drugs.com was shut down in 2014 hence the no longer have reviews for 2018. It was unclear if this website was moved to a new domain or they just stopped operating. We are unable to find M-drugs.com coupon codes but we found a special offer from their archived page. The special ED pack they released gave customers a chance to save up to 20%. M-drugs.com operated as an online pharmacy and a fulfillment center for almost three years. Their location was not disclosed and the reason why shut down was unknown. They had a lot to offer yet their pricing was a bit higher as compared to other online pharmacies during those periods. The website of M-drugs was easy to use. You can search for your medicine using the search box or just look for the medicine you need from the categories of medicines they offered. We also love the money back guarantee they offer although we are unable to test it since the website was no longer active. What we find questionable though was their fake customer reviews and how come they do not have reviews from third-party review websites.